Rehearsal Log: Week 4 Updates! — A.B.L.E. We’re in week 4 of rehearsals and things are moving right along for our teen and adult ensembles. Devising a show is both scary and exhilarating. We start rehearsals with no script and just the faith that in 10 weeks, we’ll have something to put up on stage. 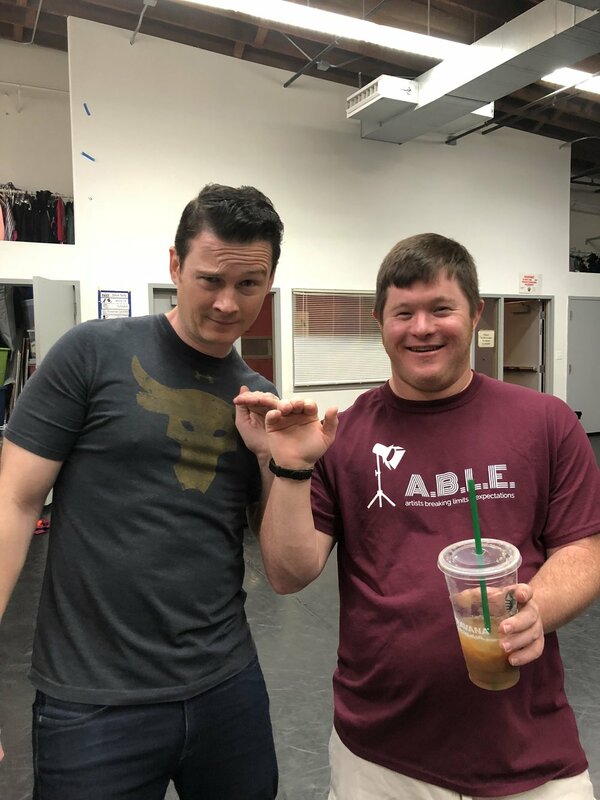 Slowly but surely, our performances are starting to take shape, and we’re seeing the personalities, imaginations, and strengths of our actors all come together to build some unique and wonderful performances! In addition to our usual ensemble games and team-building exercises, we’ve been hard at work crafting performance elements for our shows. The Monday and Friday ensembles will each have their own unique performance in The Theatre Upstairs at Chicago Shakespeare. Both groups are working with the same basic ideas and concepts, but each is putting their own unique spin on the questions and activities posed to them. These are already shaping up to be two very different shows! Each actor is crafting a short scene or monologue based on their own experiences of change. We’ve also been developing group performance pieces that will showcase the entire ensemble. One of these is a movement piece about the seasons based on our actors favorite and least favorite parts of each time of year. This week we’ll record voiceovers for these movement sequences and set them to music. The theme for this devised show was inspired by our next classical production – Shakespeare’s As You Like It. There are many changes throughout the story with characters changing homes, partners, friendships, gender-swapping, and more! So we’re bringing in a little piece of Shakespeare to our devised show and tackling one of the most famous monologues from As You Like It – Jacques’ speech about The 7 Ages of Man – as another group piece to show the journey from birth to death and the changes along the way. For our #devisedshow #therebyhangsatale we are talking about change and transformation. In addition to sharing our own stories, we’re also throwing in some #shakespeare. Here’s a sneak peek at tonight’s rehearsal with Sam giving the famous #sevenagesofman monologue from #asyoulikeit. These group pieces help give a structure to the show and serve as natural segues into some of our actor’s personal stories. For the Friday group, the 7 Ages of Man is a great lead in to Mila’s story about her favorite birthday. In the Monday ensemble, the 7 Ages of Man leads us into a group scene the importance of pets and how it feels to love, live with, and lose our furry friends. Our adult ensemble is building a cabaret-style variety show to highlight their individual personalities. This is a smaller group - only 6 actors - which gives a lot of time for personal attention and focus. Some of the participants have been with A.B.L.E. 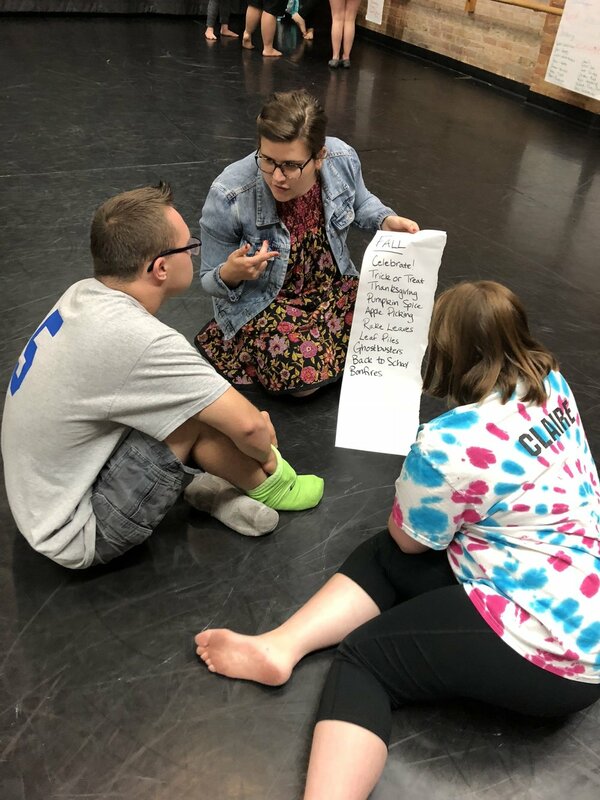 for several years, but we have newer actors with us as well, so our rehearsals to-date are focusing on general theatre skills like projection, articulation, and physicalization in addition to thinking about performance elements. 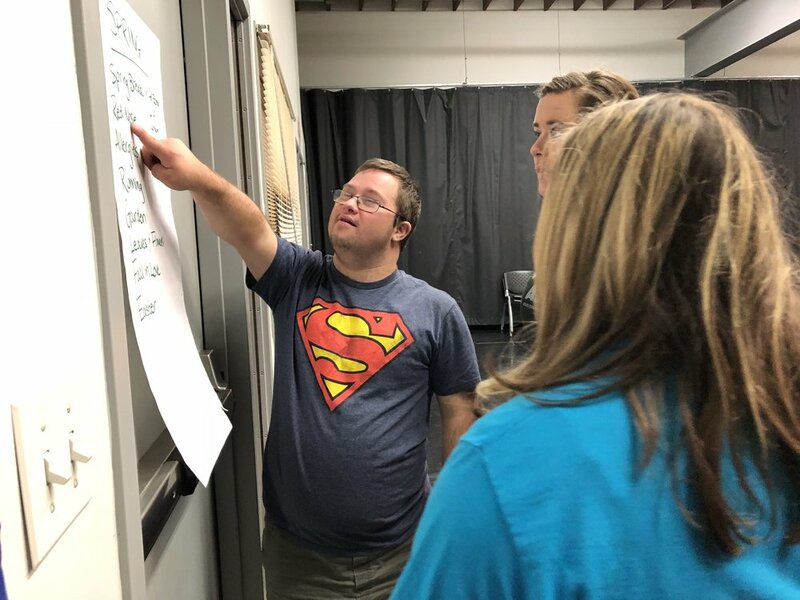 Our first 2 weeks of classes involved a lot of discussion about what types of material our actors would like to work on. In week 3, we had a special guest workshop with Amelia from Frantic Assembly. This week, actors started playing with possible scenes and performance pieces based on their suggestions. So far, our variety show will feature a serious Shakespeare scene, a stunt-fighting sequence, a stand-up comedy monologue, and a few dance pieces. One of our actors will even perform a scene from an original short story. We’ve also been working on an opening musical number and practicing our kazoo playing skills! We’ll keep sharing more from the rehearsal room in the weeks to come, and will be making announcements about ticket sales very soon! Stay Tuned! If you’d like to help support our programs, remember we’re partnering with Tortoise Supper Club for Down Syndrome Awareness Month. Order our signature cocktail, The Curtain Call, and a portion of the proceeds will come back to A.B.L.E. Even better, post a photo of you with your cocktail using the hashtag #ablecurtaincall and you could win 2 tickets to see one of these great shows in December!